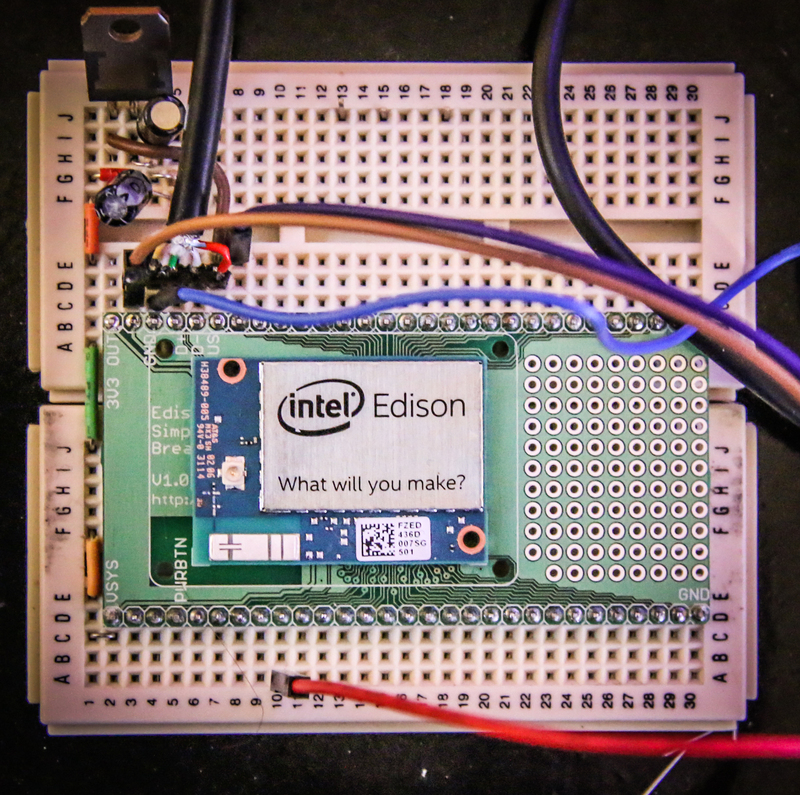 The Intel Edison debuted a number of months ago, but only recently have custom breakout boards made their way into the wild. Self-proclaimed Hacker and SharedCircuits user Stephen Edward created his Simple Edison Breakout Board to rectify that shortcoming. The Edison, a powerful single board computer, is computationally quick rendering graphics such as Doom and is already being adopted as a viable wearables platform. One great feature of the Edison is that it’s very small; however, a side effect of its diminutive size is that the connectors are also very small. 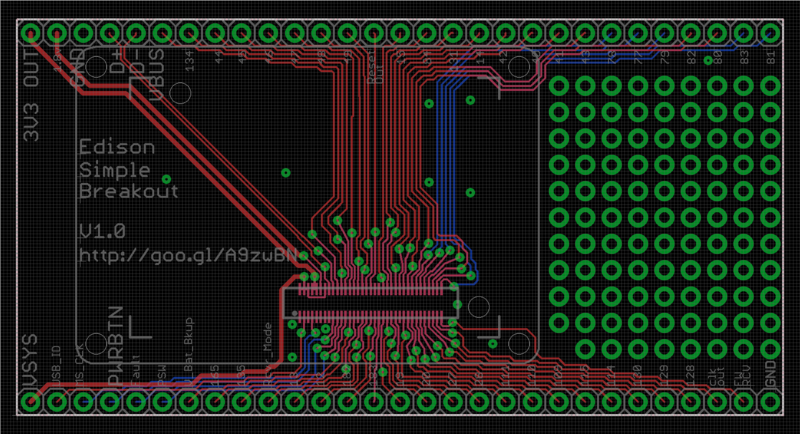 Simply prototyping with wires can be a real challenge when the board has 70-pin, with a 0.4mm pitch. 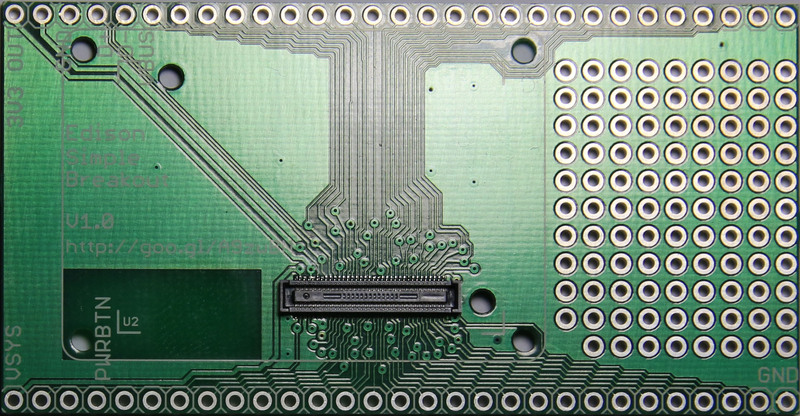 A more common spacing is 2.5mm found on most standard breadboards. While breakout boards are available straight from Intel, such as the Arduino breakout and smaller prototyping kit, they are fairly expensive, since an Edison is included. Steve’s aptly named board simply breaks out the 70-pins for easy access and also boasts a bottom-side connecters, allowing for daisy chaining multiple boards — either an Arduino or other Edison shields. Most exciting is that Steve’s Simple Edison Breakout Board schematic is also open-source so users can download and modify it to their hearts content.